Autumn is in the air and that means the end of daylight saving time with fewer sunlit hours. The Sleep Foundation pairs this annual event with their annual Drowsy Driving Prevention Week that offers tips for busy, tired drivers. This advice is helpful for consumer driving; however, commercial drivers and their fleet managers often face different driving environments. Implementing technology, including telematics, helps ease the transition to shorter daylight hours. 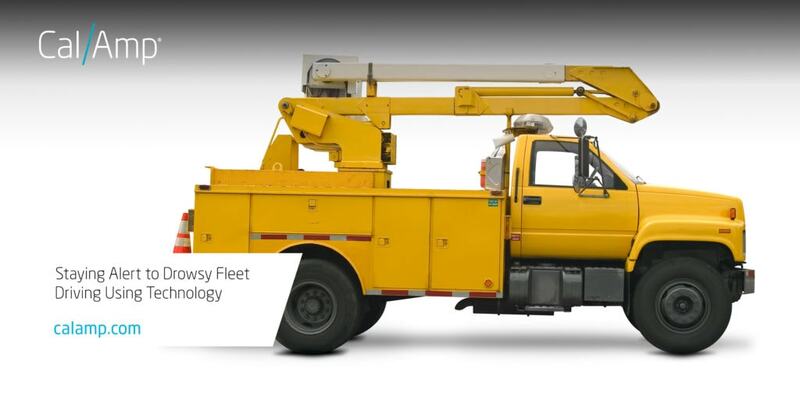 Another safety benefit from implementing telematics is keeping vehicles in proper condition. The solution connects to the engine computer helps monitor vehicle health and provides notice of maintenance issues based on the diagnostic codes. Proactive maintenance helps reduce unexpected breakdowns for drivers who are dealing with the earlier sunsets that come with the end of daylight saving time. Lastly, adding on a microservice to your telematics solution, such as CalAmp’s CrashBoxx™ instant crash alerts, provides an extra layer of awareness for fleet managers. The real-time information allows them to get emergency help to drivers more quickly. This service also provides access to detailed accident reconstruction reports that record key details of the crash and accelerate the claims process. During Drowsy Driving Prevention Week (November 4-11), the most important tip is for fleet managers to schedule shifts that provide their drivers get enough rest. Technology can help protect them on the road by monitoring driver behavior and helping them stay alert. For more information about how CalAmp telematics solutions can make drivers safer, visit our Commercial Fleet page here and our Insurance Telematics page here. Winter road conditions present safety challenges that fleet managers can address through planning, tracking and driver training. According to the Federal Highway Administration (FHA), "24 percent of weather-related vehicle crashes occur on snowy, slushy or icy pavement and 15 percent happen during snowfall or sleet."